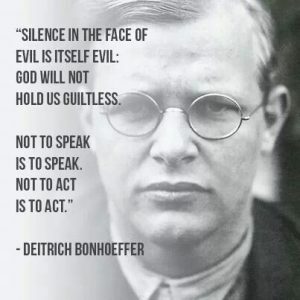 This Sunday our theme Exemplars of the Spirit continues; this week focusing on faithfulness and Dietrich Bonhoeffer, and the reading will be James 1:19-25. Communion will be during evening worship, starting at 5pm our more traditional and reflective evening worship will start with the same theme and an additional reading of Hebrews 11: 1-13. The early start is due to the youth praise The Mix being held at 6pm at Uplyme Church!